Motorcade = "A Procession or Parade of Cars or Motor Vehicles"
18/04/2019 Dodge & Plymouth - Added 44 Dodge & 18 Plymouth. 14/04/2019 Various - Added 7 Mitsubishi, 4 AMC, 4 Ferrari, 4 Mercedes Benz, 3 Chevrolet, 3 Ford (EU), 3 Porsche, 3 Renault, 3 Seat, 2 BMW, 2 De Tomaso, 2 Fiat, 2 Grumman, 2 Lexus, 2 TVR, 1 Audi, 1 Buick, 1 Dodge, 1 Dome, 1 International, 1 Isuzu, 1 Kaiser Frazer, 1 Mazda, 1 Packard, 1 Studebaker, 1 Tempo & 1 Vauxhall. 10/04/2019 Dodge Viper - Added 52. 7/04/2019 Japanese Cars - Added 14 Suzuki, 13 Toyota, 12 Nissan, 10 Mazda & 6 Honda. 3/04/2019 German Cars - Added 17 Mercedes Benz, 14 Suzuki, 13 BMW, 8 Audi, 6 Porsche, 5 Volkswagen, 2 Ford, 1 Alpina, 1 MAN & 1 Mini (BMW). 31/03/2019 British Cars - 10 Bentley, 7 Rolls Royce, 6 Lotus, 5 Jaguar, 4 Morgan, 3 GUY, 3 Karrier, 3 LTI, 2 Aston Martin, 2 Daimler, 2 Ford, 1 AEC, 1 Austin, 1 Land Rover, 1 leyland & 1 Scammell. 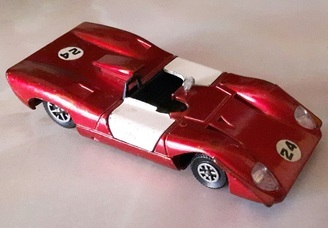 27/03/2019 French Cars - 19 Peugeot, 12 Renault, 9 Citroen, 4 Matra & 1 Aixam. 23/03/2019 American Cars - Added 15 Pontiac, 8 Chevrolet, 8 Dodge, 7 Ford, 4 Chrysler, 3 Peterbilt, 3 Plymouth, 1 AM General, 1 GMC, 1 Hummer & 1 International. 19/03/2019 Italian Cars - Added 14 Lamborghini, 10 Alfa Romeo, 7 Bertone, 7 Ferrari, 3 Abarth, 3 Fiat, 3 Lancia, 3 Thomassima, 2 Maserati & 1 De Tomaso. 16/03/2019 Chevrolet Corvette - Moved All Content to 'New' Corvette page + added 10 cars. 16/03/2019 Ford Mustang - Moved All Content to 'New' Mustang page + added 10 cars. 9/03/2019 Various - Added 15 Pontiac, 10 Lotus, 9 Dodge, 7 Ferrari, 7 Volkswagen, 6 Audi, 2 BMW, 1 International, 1 Opel, 1 Porsche & 1 Scania. 6/03/2019 Japanese vehicles - Added 12 Nissan, 8 Honda, 8 Toyota, 7 Mitsubishi, 7 Suzuki, 4 Fuso, 3 Komatsu, 2 Isuzu, 1 Daihatsu, 1 Mazda & 1 Subaru. 2/03/2019 Ford Mustang - Added Another 30. 28/02/2019 Ford Mustang - Added 20. 27/02/2019 TRADE-IN BOARD - Updated. Now with 58 vehicles to Trade. 24/02/2019 Porsche - Added 49 911, 1 928, 1 944, 1 959 and 1 Boxster. 20/02/2019 Various - Added 10 Ford (EU), 5 Mini, 5 Toyota, 5 Volkswagen, 4 Mazda, 3 Scania, 2 Chevrolet, 2 Ford (USA), 2 Jeep, 2 Opel, 2 Pontiac, 1 Alfa Romeo, 1 Chrysler, 1 jaguar, 1 Kenworth, 1 Lancia, 1 LTI, 1 MG, 1 Mini (BMW), 1 Misubishi, 1 Morris, 1 Nissan, 1 Saviem, 1 Seat & 1 Volvo. 17/02/2019 Mercedes Benz - Added 51. 14/02/2019 Mercury + Lincoln - Added 49 Mercury & 1 Lincoln. 10/02/2019 French Cars - Added 29 Renault, 14 Citroen, 10 Peugeot, 5 Simca, 1 Chrysler/Talbot (EU), 1 Ligier, 1 Matra, 1 Panhard & 1 Saviem. 7/02/2019 Ferrari - Added 16 456 GT/M, 16 F355 Challenge Spider, 8 Testarossa, 4 Enzo, 4 F512 M, 2 250 P5 Concept, 2 512 TR & 1 550 Maranello. 1/02/2019 Classic Vehicles 1930s-50s - Added 12 Ford, 9 Chevrolet, 6 Rolls Royce, 4 Mercury, 2 Packard, 2 Wartburg, 1 Armstrong Siddeley, 1 Austin, 1 B.E.V., 1 BMW, 1 Cadillac, 1 Cord, 1 De Soto, 1 Facel Vega, 1 Holden, 1 Karrier, 1 Leyland, 1 Massey-Harris, 1 Morgan, 1 Morris, 1 Talbot-Lago, 1 Volvo & 1 Willys. 29/01/2019 Various Trucks & Vans - Added 20 Chevrolet, 10 Ford, 5 Volkswagen, 4 Dodge, 4 Mercedes Benz, 3 Toyota, 2 Bedford, 2 Renault, 2 Saviem, 1 AEC, 1 Dennis & 1 Thames. 25/01/2019 Ford (USA) - Added 53 Mustang. 20/01/2019 Italian Cars - Added 22 Ferrari, 12 Alfa Romeo, 11 Fiat, 10 Maserati, 5 Lamborghini, 3 Iso and 3 Lancia.